Home » LES » LES holds a lecture on The official estimates of poverty in Pakistan, what is wrong and why? LES holds a lecture on The official estimates of poverty in Pakistan, what is wrong and why? A Distinguished Lecture Series is being held on the centenary of Department of Economics at FC College in 2015 and sixth lecture of this Series was being delivered by Dr Sohail Jahangir Malick on Thursday 05 November 2015 in the Executive Education Lounge in E-301 at 12:30 pm. Dr Sohail J Malik held senior position at the World Bank and is presently Chairman, Innovative Development Strategies Pvt. Ltd and Advisor, Pakistan Strategy Support Program, International Food Policy Research Institute. The Distinguished guest spoke on The official estimates of poverty in Pakistan, what is wrong and why? The speaker talked about the importance of poverty estimation methodology in Pakistan and its implications for the country’s effort to alleviate poverty. The problem of poverty could not be solved without an appropriate mechanism for its measurement. He argued that failure in the effort to counter this problem in Pakistan lies, in large part, with the problem we have in poverty estimation over the last many years. He concluded that in addressing the problem of poverty, we must take into account moral and economic concerns that are attached to the problem of poverty. 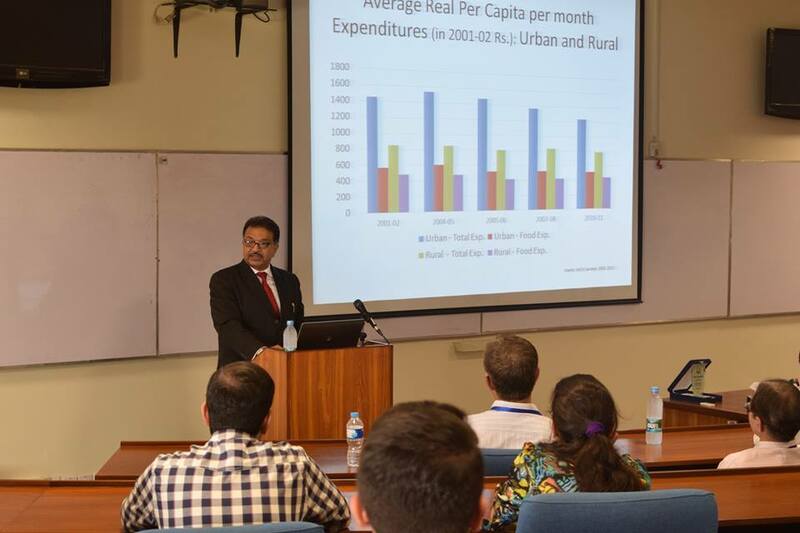 The lecture focused on the history and mechanism of official estimation of incidence of poverty in Pakistan. The official method used is daily per capita income expenditure and consumption measured in kilo-calories that is caloric intake and descending order of per capita total expenditures, by counting housing units below the poverty lines. This estimation system grossly underestimate the level of poverty due a serious deficiency in the methodology in the first place and, a poor updating system, in the second. Official methodology, using estimates of Poverty based on 1998-99 census, updates it using consumer price index and therefore fails to reflect the rise that has taken place in the level of poverty in Pakistan. The real data do not justify the remarkable decline in poverty that these official estimates indicate in Pakistan. the critical finding of his research showed that the share of food expenditures of household has increased while real per capita has declined and real wages are same as in 1993 which defies the Engel Curve phenomenon makes the entire system of poverty estimates unreliable. He also argued that there is deterioration in nutrition data in Pakistan, making the measurement of poverty even more unreliable. The speaker presented a body of literature on this issue that explain the reasons of faulty poverty estimation mechanisms. He strongly advocated the need for a fair, independent and transparent methodology to be adopted for this purpose in Pakistan. 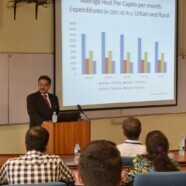 He outlined the critical challenges being experienced in Pakistan as sensitivity of poverty estimates to chosen caloric threshold underlying the poverty lines, using CPI to present annual poverty estimates (with serious shortcomings in the selection CPI basket) and political point scoring over the issue of poverty by understating the incidence of poverty across provinces. In Sindh poverty was showed to have declined by 15% between 2001 and 2004 to show 5% overall decline from 33% to 28%. in this way it appeared that the sharpest decline in poverty was in Sindh, which was an unbelievable15% decline in just 2 ½ years , while the province actually saw a decline in agricultural production in that duration. 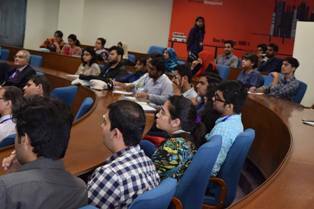 In the end the speaker expressed his desire for the young students at the department of Economics to investigate this most important issue of poverty in the country and then inform the society about its grave implications on the economy of Pakistan. He also congratulated the students and faculty of the Department of Economics to reach the extraordinary milestone of completing 100 years of its service in the country. 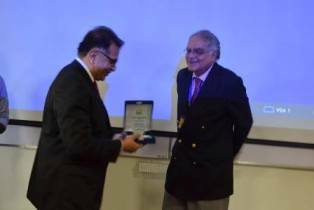 In the end Advisor Lucas Economics Society thanked the audience and the esteemed guest and Dr Akmal Hussain, Distinguished Professor of Economics presented a shield to the distinguished speaker.